Within Teamwork Desk, you can update your billing details at any time. Note: Currently, Visa, Mastercard, and American Express are accepted through our processing partner, Stripe. To update your details click your profile icon to the top right of the navigation bar and select Settings. 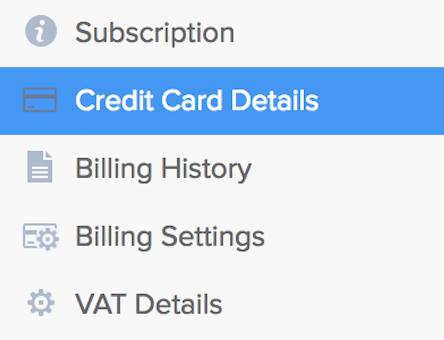 In the settings area, go to the Billing tab and select Credit Card Details in the left pane. You will then see your current billing details listed, select Change Credit Card. 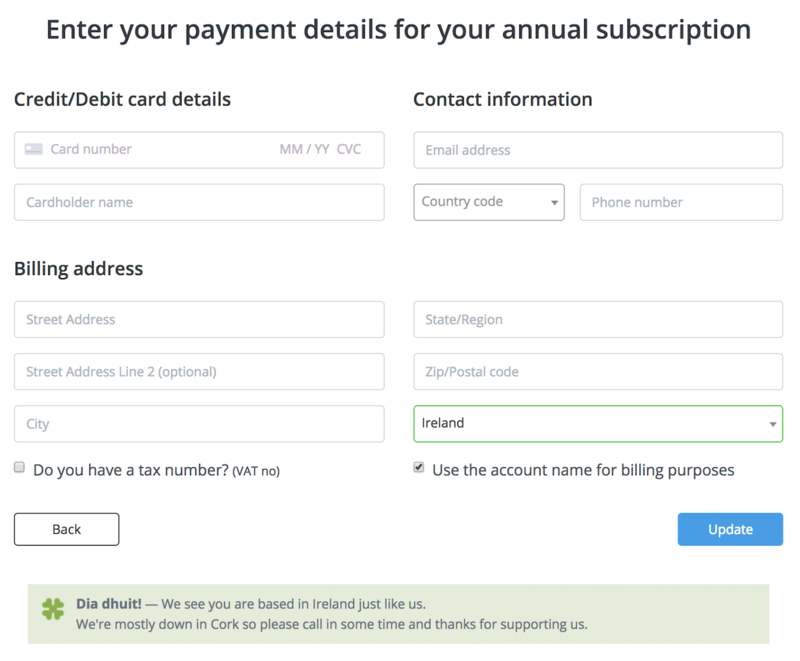 Once you click "Change Credit Card" you will be able to add new payment information. Click Update to apply your new details.